We are one of the leading supplier and trader of superior quality Surface Materials that includes Solid Surface Materials. This surfacing material is high range with good performance has created success story by delivering the most reliable surfacing materials. Our customers can avail this range at market leading prices. In 1967, DuPont invented Corian®. Corian® is a high performance surfacing material which has created global success story for more than 40years and even after decades this is considered as one of the most favorite surfacing material because of its functional and design flexible properties. Corian® is a solid, non-porous, homogeneous surfacing material composed of 1/3rd acrylic resin (also known as PolyMethyl MethAcrylate or PMMA) , 2/3rd of natural mineral Aluminum Trihydrate (ATH) and environment friendly pigments. We are among the reputed traders in the industry, offering Solid Surface Tops to our valuable customers. This material can be utilized for furnishing bathrooms, kitchens, and suchlike. The offered material is non-porous, highly flame retardant, and halogen free. Being homogenous, this material ensures a smooth surface and an attractive finish. Being long lasting and requiring minimal maintenance, this surface material is highly appreciated by the customers. Preferred Location : Tamil Nadu. 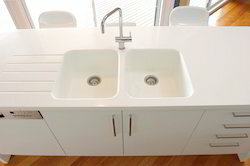 We are the supplier and trader of excellent range of Dupont Corian Top. It effectively filters the surrounding environment and generates minimal noise while function, easy to install. These products is highly demanded in the market. The offered tiles are long lasting and are characterized by excellent resistance. 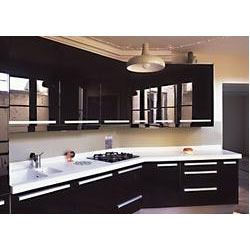 We are the supplier and trader of wide range of Corian Counter Tops. These are manufactured by high quality material. It is solid, non-porous material that is easy to clean and maintain. 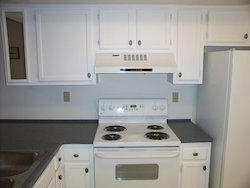 Offered kitchen tops are made available at standard market prices. These are provided as per the clients requirement and various sizes. 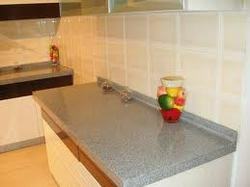 We are engaged in offering Kitchen Counter Top to our esteemed customers. 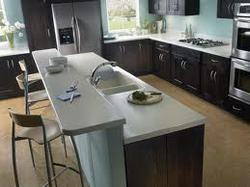 These counter tops are created keeping in mind the requirements of modern kitchen. Manufactured using high grade materials, these tops are durable and highly resistant to chipping and other forms of damage. Involving an easy installation process, these tops offer convenience, in turn enhancing the visual appeal of the kitchens. These tops are highly regarded for their outstanding finish. We are the supplier and trader of DuPont Corian. The offered products with their beautiful design, enhances the luxury of the kitchen. The offered stones are subjected to an elaborate finishing procedure in order to give them the desired appearance. Our products are of good quality due to this these are highly appreciated by clients. We are the supplier and trader of Acrylic Solid surface. Our Modified Acrylic Solid Surface material for limitless design. Its widely known as corian material and is famous for features like high performance, efficiency, eco-friendly, stylish design. These Acrylic Solid Surface Sheets are appreciated by large number of patrons due to high quality and durability. 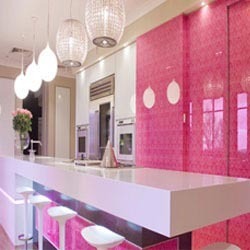 We are among the pioneers in the industry, engaged in the trade of Kitchen Counter Tops. These kitchen tops are widely regarded for their sturdiness, non- porous characteristic, and high aesthetic appeal. The materials used comprise of alumina trihydrate and acrylic polymer. We can supply multiple designs, in several color options, as per the requirements of the customers. 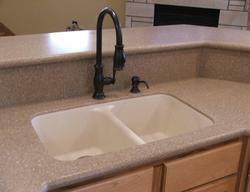 Offered kitchen tops are made available at standard market prices. Looking for Kitchen Tops ?